Uses: General, senior choirs, revival Scripture: II Corinthians 13:4, Luke 11:9, I Peter 5:7, John 20:15 Weaving two pre-existing songs into a tapestry of worship, these songs are cooperative not only in musical content, but also textual emphasis. With two anthems in the set, this octavo is a real budget stretcher. 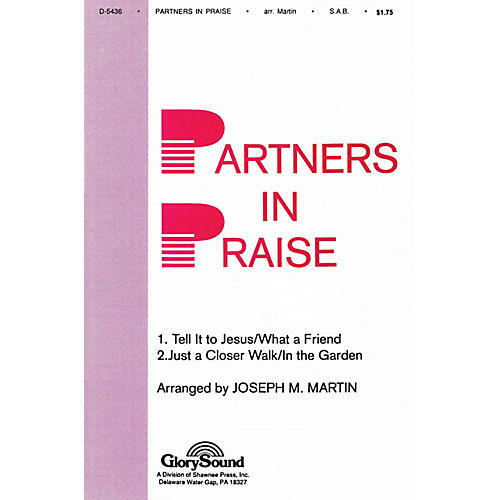 The first anthem joins Tell It to Jesus and What a Friend We Have in Jesus while the second piece brings together Just a Closer Walk with Thee and In the Garden. These have become standard anthems for festivals and their SAB voicing makes them perfect for churches of any size.